A few weeks back a friend of ours was complaining about the difficulties of organizing pizza orders in a group (especially in a university/office setting). Our team thought we could make a service to facilitate this process. 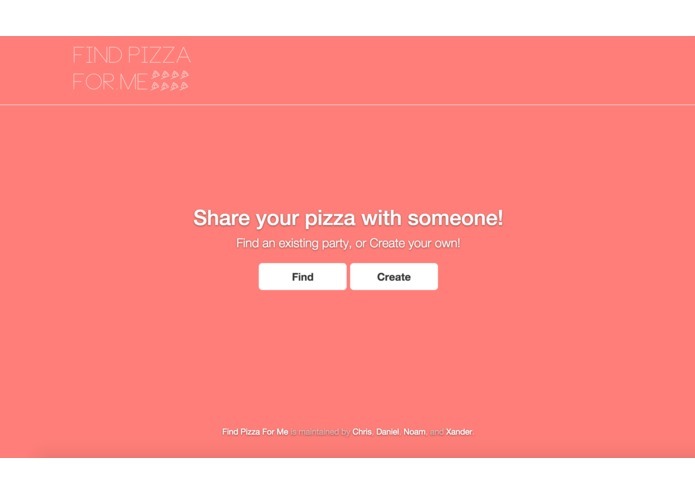 Find Pizza For Me is a pizza sharing platform. 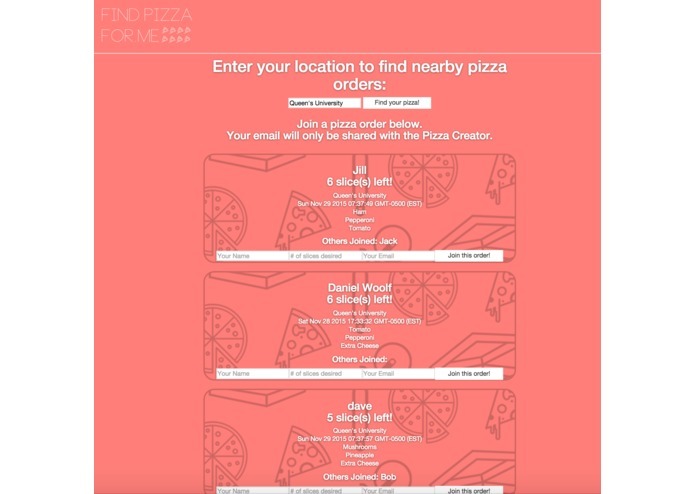 Find Pizza For Me lets you create and post a pizza order, or browse previously posted pizzas awaiting contributors, in any given location, in a most-recent-first format. Pizza orders are customizable such that you can specify up to three toppings and any amount of slices under 8. 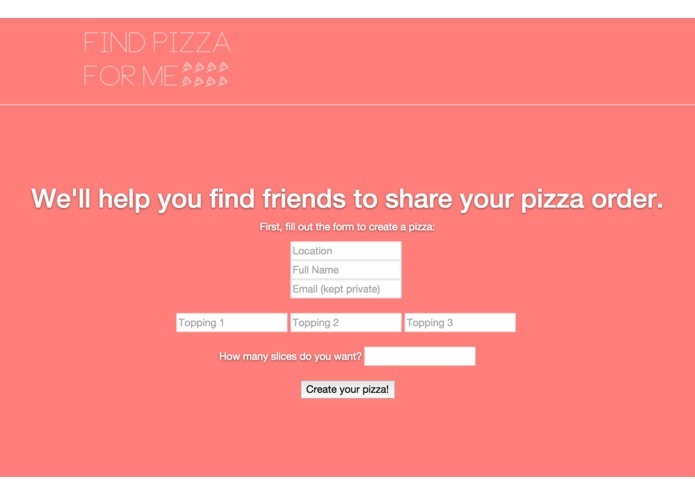 A user is allowed to join in on a pizza order and once all slices are accounted for, the pizza creator receives the contributors' personal information to coordinate slice distribution, and then the pizza's post disappears. On the find page, please try searching a school, such as "University of Western" to view posts in that location, or input an asterisk to view every post. Also please try the Create feature to post a pizza to the site. 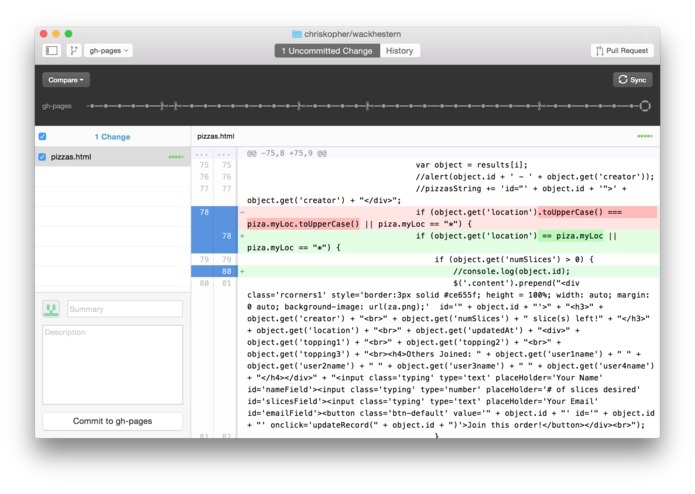 Parse is described as an easy backend solution, and while it was quite simple to set up, most of our difficulties came from getting Parse to work with our code, as it was not as versatile as we had initially hoped. Each member of the team experienced some coding in a language they were new to, and none of us had built a dynamic site like this before. 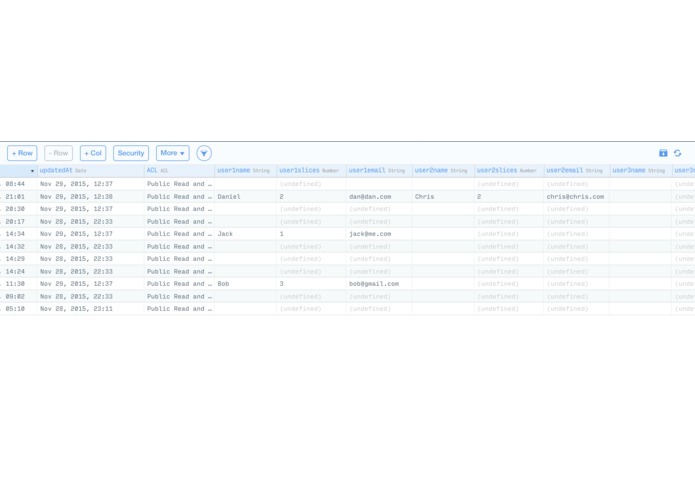 This was also the first GitHub project for most of us, so it was quite useful to familiarize ourselves with that system (the repository is linked to on the website). At the time of writing this, we could not successfully run our update queries to Parse, therefore the "joining a pizza" functionality is still a work in progress. update: With some additional work after the hackathon, "joining a pizza" was successfully implemented! Learning a new language/languages and working out an original way to visualize our data (connecting to a database was also a first). 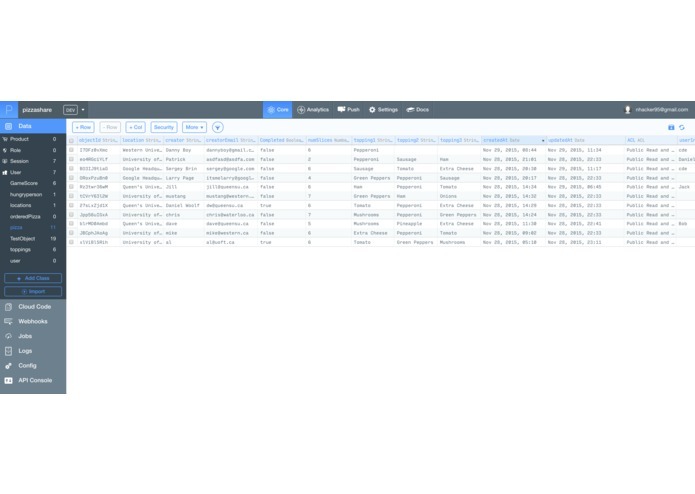 Although the current features are rudimentary, My team is proud that we were able build this idea into a reality that was genuinely fun for us to use, and something we'd want our friends to use once it is polished up. Hack Western was also a great bonding experience for us and many fun times were had along the way. After we fix the joining functionality, we hope to implement tons more of our stretch goals, consisting of: automated email notifications to pizza creators and contributors - with coordination information, geotagging and geolocating pizzas based on GPS for better match finding, more filtering options in the find page. With these features working, we would like to introduce our website to concentrated population areas where people like to eat together: mainly universities and offices. We can also see alternative group/location-based applications of Find Pizza For Me, such as organizing sports games in parks, or study groups in libraries.